A bit of frolicking in the leaves last week was on the menu. The boys had their neighborhood friend over for a bit of rambunctious leaf playing. 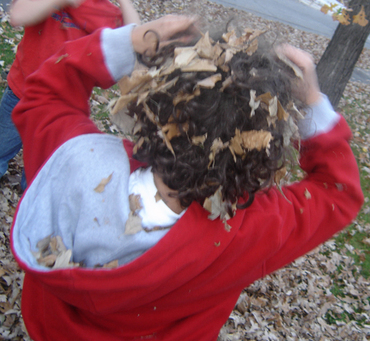 One should not attempt to play in the leaves when one has big hair like my dear son J. Fall is 'very' here as you can see. 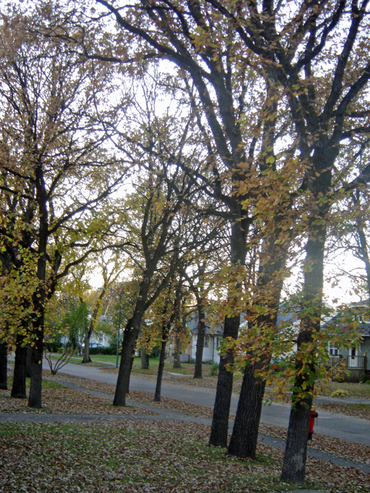 We have mountains of trees in our neighborhood and so many of them are Oaks which reluctantly give up their leaves. 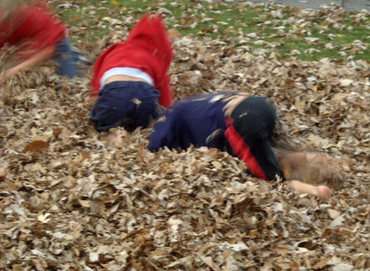 That's okay though, we usually spend our time making leaf piles for the kids to jump into until the last moment when we quickly bag them for compost or other creative adventures. More on that later. What beautiful fall leaves you have there!